Sperm whales, (Physeter macrocephalus), or cachalot can be found anywhere in the open ocean and are easily recognised by their massive heads and prominent rounded foreheads. They have the largest brain of any creature known to have lived on Earth. They are also known to dive as deep as 1,000 metres in search of squid to eat. To accomplish this, whales may have to hold their breath for up to 90 minutes. 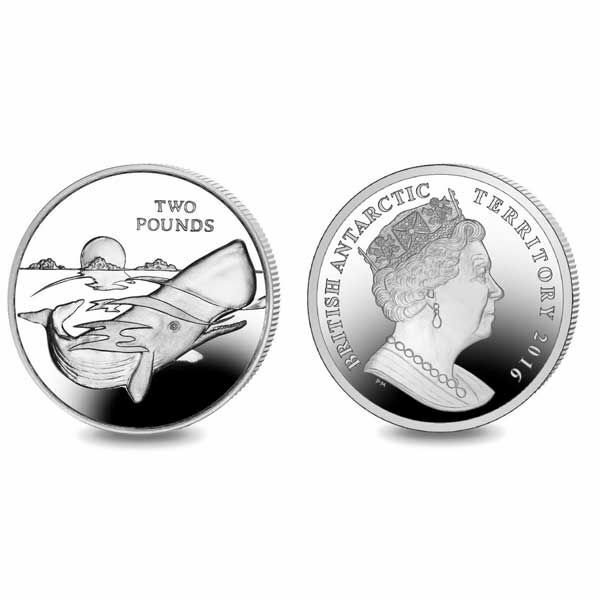 The design on the coin features a sperm whale swimming in Antarctic waters with the sun shown setting behind the icebergs. The obverse of each coin features the new effigy design of Her Majesty Queen Elizabeth II exclusively by Pobjoy Mint. Available here in Proof Sterling Silver and also in Uncirculated Cupro Nickel. 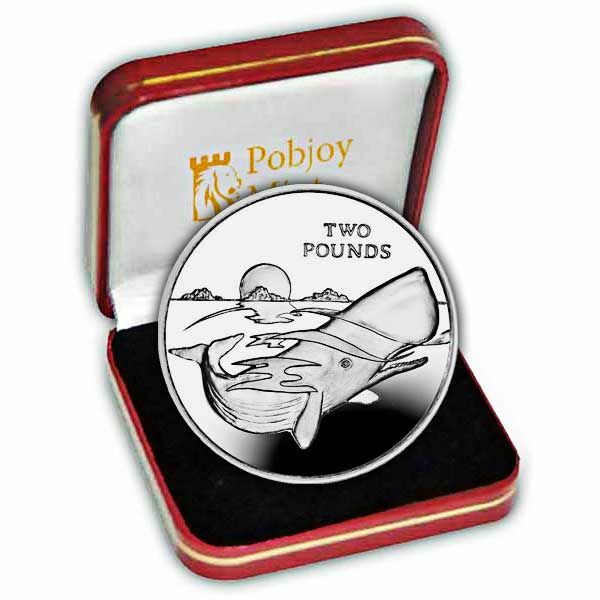 Each metal coin is struck four times to create the famous Pobjoy ‘proof’ finish.